Technology leaders in the Turf Maintenance Industry, Advanced Scoreboards LLC & FAIRWAYiQ Inc., have formed a partnership to integrate ASB's taskTracker and FAIRWAYiQ's Real-Time Equipment Tracker. 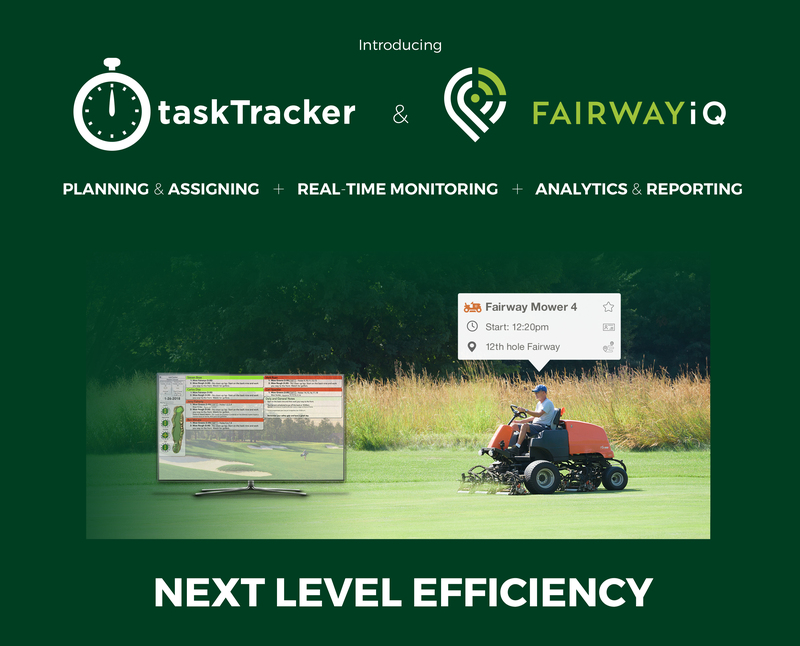 The industry leading task tracking software tool ASB taskTracker, and the most advanced equipment monitoring platform FAIRWAYiQ, have joined forces to integrate their Turf Maintenance solutions. ASB's taskTracker is the go-to solution for Golf Course Superintendents (CGCS) across the USA and internationally. The task tracking tool enables Golf Course Superintendents to efficiently manage labor and budgets via the ASB software platform. ASB currently serves over 550 clubs and has gained over 700,000 hours of labor efficiency in the last 3 years. FAIRWAYiQ's innovation in equipment monitoring, provides Real-Time visibility of equipment and staff for Golf Course Superintendents. The equipment monitoring technology is built on the latest network protocol (LPWAN), allowing low power equipment sensors, to transfer data over long distances in Real-Time. FAIRWAYiQ currently serves clubs across the USA & Canada. Integrating the two systems will enable Golf Course Superintendents to Plan & Assign tasks, Monitor those tasks in Real-Time and drive Efficiency through comprehensive Analytics and Reporting. ASB & FAIRWAYiQ are formally announcing their partnership at the Golf Industry Show (GIS 2018) this week in San Antonio. A demo of the integrated system will be shared at GIS on Wednesday April 7th 2018. More information will also be shared at FAIRWAYiQ's Booth #19058 and at the ASB's Booth #28104.